Yes, you read it right! 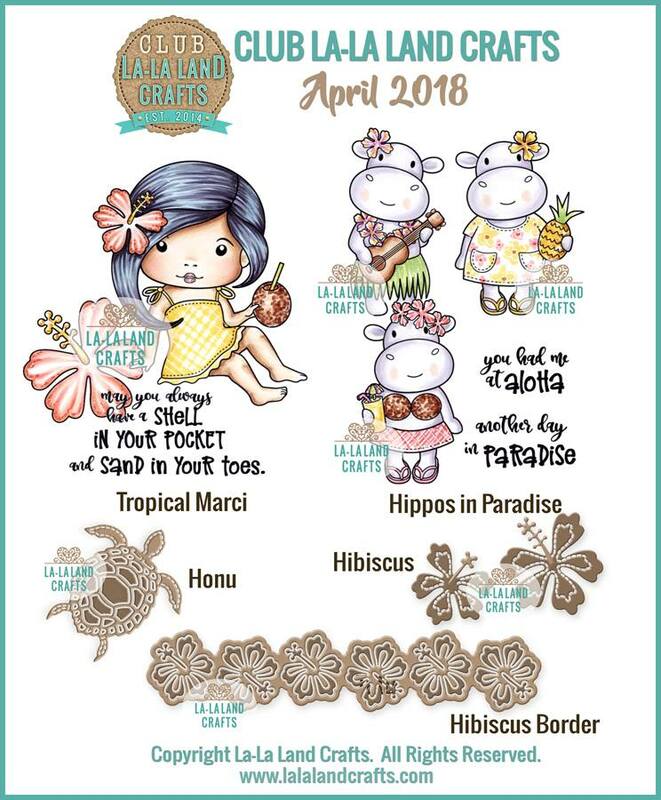 I'm showing you cards made with April's kit. hehe ... This kit came to me a bit late and then I was at work all the time ... so now I finally got the chance to play with it. 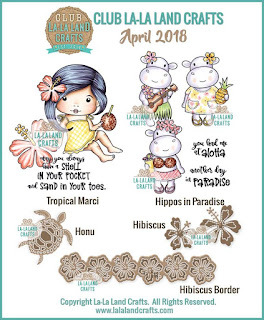 My first card features Tropical Marci, Hibiscus flower stamp and Honu die. I coloured Marci using Distress ink pads and then fussy cut her. I coloured my purple background using Seedles preserves distress oxide ink. Then I stamped my Hibiscus flowers and heat embossed them with white embossing powder. I made the white background with a lot of white Honu die cuts. I glued them randomly to the white base and then simply cut the excess off. I absolutely love the effect. On my second card I used one of the adorable Hippos. I coloured it using Distress ink pads. For the background I used Hibiscus dies. Sentiment is also from the same set.